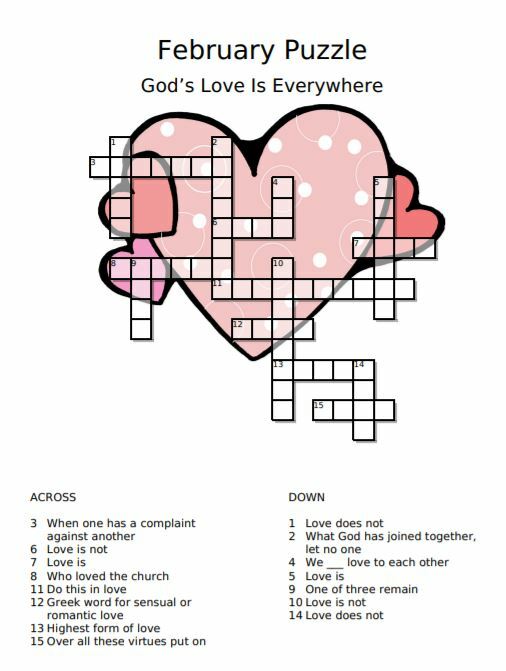 This month’s theme to our February Puzzle is “God’s Love is Everywhere” inspired by a recent post from Pastor Stephanie Beard. The answers to the puzzle are meant to be inspiring and uplifting as you witness the burst of red and pink everywhere you look. We’ll upload a link to the answers on our Facebook page on the 15th of each month. Enjoy!